10 nights of FREE concerts held in Toyota Park during #TCMF2019! Every night of the 2019 Toyota Country Music Festival, Toyota Park comes alive with the biggest line ups, the biggest variety of acts, on the biggest stage. 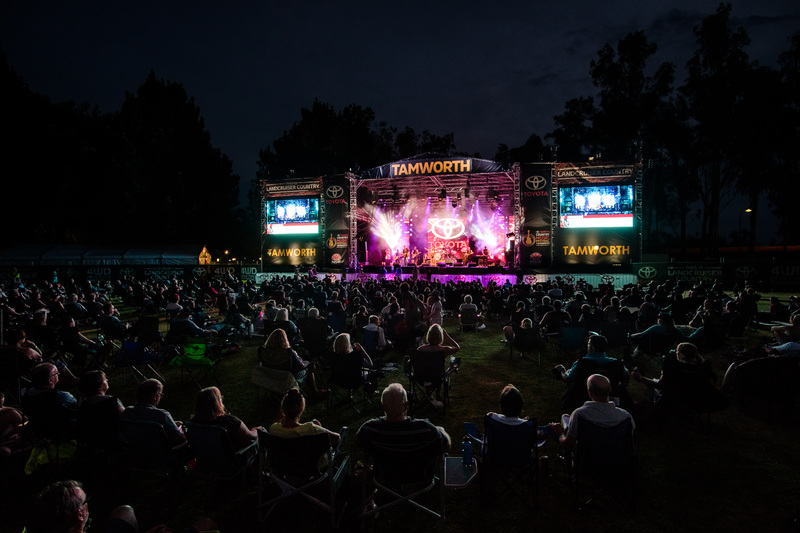 A snapshot of the diversity of music to be seen in Tamworth 2019 featuring the CMAA Academy of Country Music students and tutors, Jasmine Rae, John Stephan, Jayne Denham, Warren H Williams, Gina Timms, 2018 Toyota Star Maker Brad Cox, Haystack Mountain Hermits, Western Distributors, Hurricane Fall, Murphy’s Pigs and special guests. Plus spectacular fireworks at 9pm. Tamworth Family Support Services presents an evening of family entertainment featuring the musical talents of Colt Seavers Band, Lizzie Steadman, Kate Hindle, Anna Georgia, Montgomery Church, Allison Forbes, Homegrown, Amber Lawrence, Aleyce Simmonds and Luke Dickens. Following in the footsteps of Keith Urban, Lee Kernaghan, Beccy Cole, James Blundell and many others, this marks the 40th staging of the Toyota Star Maker Grand Final which will deliver the top 10 and launch a new winner into the spotlight. Former winner Darren Coggan will host the evening. The evening also features a gala performance by 2018 Toyota Star Maker winner, Brad Cox. Witness this fastest growing sub-genre of country music featuring established, award winning artists and the brightest stars on the horizon. Hosted by Lachlan Bryan and featuring the talents of Golden Guitar winner Kristy Cox, rising stars Megan Cooper, Rose Zita Falko, exciting new duo Montgomery Church with an international influence from Hannah Aldridge. Coinciding with official Sister City visits from Gore (NZ) and Nashville (USA) will see both these countries well represented and joined by the Best of British country scene. From the USA , Dylan Jakobsen, Amanda Cook and Garry Jackson. From Canada, The Dungarees. From the UK the Best of British includes Jade Helliwell, Darcy, Stew Mac, Kezia Gill and Issie Walsh. Plus a showcase of New Zealand Talent hosted by Aly Cook and Brendan Dugan with legends like Eddie Low, Kevin Greaves, Tony Lee, New Zealand’s Golden girls Jenny Mitchell, Kaylee Bell and Jody Direen, plus 2018 New Zealand Gold Guitar Winner Arun O’Connor and intermediate Gold Guitar winner Molly G.
Featuring more than 40 bush balladeers, including Tom Maxwell, Dianne Lindsay, Peter Simpson, Ashley Cook, Glenn Jones, Lindsay Butler OAM, Shaza Leigh, Ken Lindsay, Anne Kirkpatrick, Dean Perrett, Jeff Brown, Brian Letton, Peter Coad, Coad Sisters, Anita Ree, David Kirkpatrick, Keith Jamieson, Alisha Smith, Lorraine Pfitzner, Caitlyn Jane, John Smith, Laura Downing, Lynette Guest, Owen Blundell, Ernie Constance, Graham Rodger, Alice Benfer, Lochie and Georgia, Anthony Baxter and Pat Brown. Join Simply Bushed and be apart of attemping to set the World Record for the World's Biggest Bush Dance. Featuring some of the best, emerging and established modern country artists including Jasmine Rae, Melanie Dyer, Tori Darke, Jade Holland, Brooke Schubert, Bryce Sainty, Matt James and Juliet Oliver. Plus a few surprise guests. Travis and friends celebrating his six Golden Guitars and four CMC Awards received in 2017 and 2018. 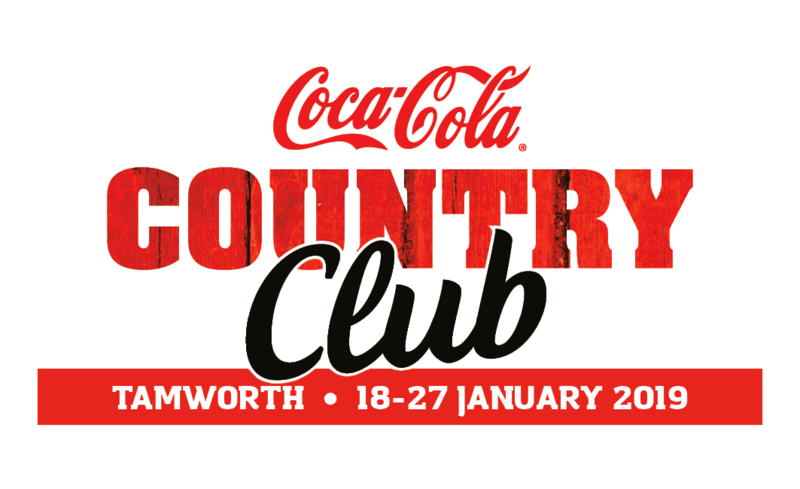 Great entertainment from Tamworth’s best including Redneck Gentlemen, Jarred Taylor Band, Sally-Anne Whitten, Brendan Nawrocki, Lizzie Steadman, Jimmy Craz and the Crosby Sisters. PLUS SPECTACULAR FIREWORKS AT 9.00PM. The final event for Toyota Park is where the TOP TEN busking performances selected by the judges through the 10 days battle it out to be crowned 2019 Toyota’s Best of the Buskers. Coca Cola beverages and snacks!